Tooth loss and the gaps that missing teeth leave in your smile can be very detrimental to one’s confidence and the way in which other people perceive you. In some situations, a missing tooth or missing teeth can cause people to stop smiling and even to avoid social situations. No one should have to feel left out or lose self-confidence over something so simple to remedy as a missing tooth. Having missing teeth that leave gaps in your smile can also cause people to wear down some or all of their remaining teeth as they adjust their bite to compensate for the missing teeth. In the past, the only way to fix someone’s smile and remove the feeling of incompleteness that gaps between teeth often cause was to replace your teeth with dentures, or perhaps partial dentures. This is still an option today, of course, but there is a better recourse—dental implants. 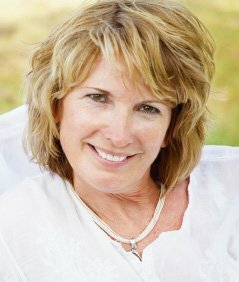 If you have experienced tooth loss that is affecting your confidence or smile, don’t despair! The Sugar House Dentist are experts and offer dental implants to people in Salt Lake City at their Sugar House dental office. But there is a better restorative dentistry option — dental implants. Dental implants, which are also known as tooth implants, are basically titanium rods that act as root substitutes for missing teeth. After it is installed, this artificial root fuses to the jawbone, creating a strong foundation upon which to attach a false tooth. It generally takes between 3 and 6 months for the titanium rod to fully fuse to the jawbone. Once the healing process is completed, dental implants basically give you a brand-new tooth root and tooth—only they’re even more durable than regular teeth. A tooth implant fills in the area of your mouth that your regular tooth root would have if it weren’t missing, so one benefit to your appearance is that your cheeks will most likely not get that sunken-in look that often happens when one or more teeth and their roots are missing. The dental implant stands in for the tooth and performs every function your real tooth would have. Dental implants look just like regular teeth, so they allow you to laugh and smile with complete confidence. The dental crown that is affixed to the top of the tooth-root replacement implant is color matched to look just like the teeth next to it, so no one will be able to tell that it isn’t the natural tooth you were born with. 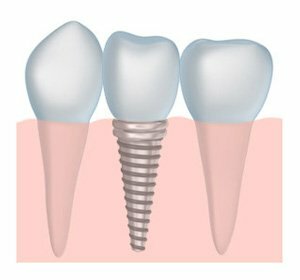 A tooth implant feels just like a regular tooth, restoring your mouth to the way it was before you lost the tooth that the implant replaces. The dental crown that is connected to the top of the tooth-root implant is custom made for you based on the size, shape, and arrangement of your natural teeth, so it fits in your mouth and feels just like any other tooth. More important than appearance, dental implants function just like natural teeth. This means you can chew and eat with your replacement teeth just like you naturally would. This is especially helpful if the other teeth in your mouth have been worn down from being overused in order to compensate for the missing tooth or teeth. Yet another use for dental implants is that they can be used to anchor and hold either partial or full dentures if necessary. This makes the dentures much more sturdy, durable, and attractive because they are held securely in one place and never slide around in your mouth like unanchored dentures might. If you are looking for the right place to get dental implants in Salt Lake City, Utah, call our Sugar House dental clinic to schedule a consultation today if you are in the area, including Millcreek UT! For more information about this amazing technology and what we can do with tooth implant dentistry at our Sugar House dentist office, please visit our dental implants website!